"A breakup can sometimes send us reeling. Whether we were together for 10 years or 10 weeks, it can leave us doubting ourselves and our ability to ever find enough ice cream (or pork carnitas) to make us feel better. Even if we initiated it, or thought that it wouldn't be a big deal, a breakup can knock us off course in big ways and small. Nearly everyone has had a breakup that has shaken them to the core. To add to the agony, often times they feel like they should be getting over it better, more quickly, or with fewer tears or obsessive thoughts. They feel that having a hard time with it somehow makes them weak or unhealthy. If the relationship was meaningful, there's virtually no way to avoid the sting of a breakup completely. And it would probably make you less human if you didn't feel something. But what do you want that something to be? And how do you want to use it to forge ahead? "It's natural for us to turn to our friends for sympathy and advice. A good friend can empathize and help us feel like we're not the loser we think we are in the moment. During her years researching the power of friendship for her book The Friendship Fix, she has learned that friendship can be downright magical in its own right. But in the wake of an earth shattering romantic breakup, sometimes even the best of friends can't do much to dig us out of our hole. This is just one of the things you can learn from this time period. If breakups are bound to make you feel something, there's a big and meaningful difference between that something being pure misery, and that something being new understanding of yourself in a way that helps you move forward as a stronger, wiser, and more insightful human being. The latter is a person who knows herself better, and is better situated to take the steps needed to find more fulfilling relationships. Virtually all of us would choose that something. So how do you get there? The answers to those questions fall much more squarely in your control, and by picking up He Did You A Favor, you've taken the first step in choosing to make things better for yourself. But perhaps you're balking at the idea that reading a book can help you. The whole breakup business can tread into downright clichèd territory: from Hollywood ending that have Much-Better Dude Number Two entering stage left the moment Dude Number One is done, to the friends who tell you that someone now you're simply "better off" - when you haven't showered in days. 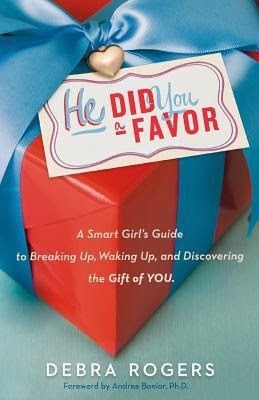 I received He Did You A Favor by Debra Rogers compliments of Book Sparks for my honest review. I did not receive any monetary compensation for a favorable review and the opinions expressed are strictly my own. I only wish I would have had a book like this when I was a teen and going through those difficult moments of high school crushes and even life changing break ups. I think the one thing I loved most about this book is that you can feel like Debra knows what you're going through, how you feel and even adds just the right amount of humor so you can find yourself smiling again. It's not a quick fix, but it's designed to help you see past believing your life is over and that it's all your fault. That you could have done anything to change it. The chapter are designed to be intriguing and fun, like Your Super Sucky Breakup includes such notable topics like He Did You A Favor because You Get to Purge Mr. Not Worthy or He Did You A Favor because His Excuse is Your Ticket to Freedom! All in all, I am so glad I have this because as a parent who is dealing with teen girls, I know I'll be rereading it again and again and even handing this to them as they go through it when it comes. I easily give this one a 4.5 out of 5 stars in my opinion. 1. 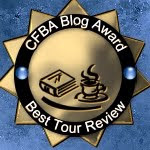 Be a follower of my blog Reviews From The Heart. 2. "Like" He Did You A Favor's Facebook page. 3. Be a resident of the US or have a US shipping address. Please No P.O. Boxes. 4. Leave me a comment below telling me why you'd love to win a copy of this book. Don't forget to include your email address. You can use the words (at) and (dot) instead of the symbols. The giveaway will end on January 31st and I will notify the winner by email at that time. You can find Debra Rogers on Facebook to stay up to date on all her latest novels. 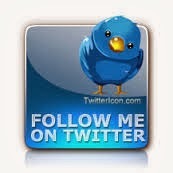 You can also join Debra Rogers on Twitter by clicking here.